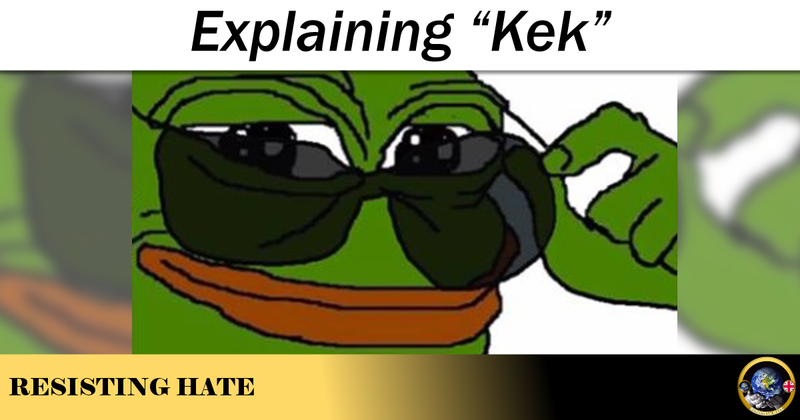 You’ve probably seen some right wing morons trolling groups like ours who come out with nonsense like “Praise Kek”, “The Left can’t meme” and other similar idiocy along with a fascination with Pepe the frog and a green version of the Nazi flag. I thought it might be an idea to explain who these idiots are and what it is they represent. Firstly, Kek is a translation of the acronym “LOL” seen when playing World of Warcraft online. This has been discussed online which has drawn the attention of the “alt-right” who have used it for their own ends. What is called the Cult of Kek has spread which is a faux worship based on the worship of the Egyptian deity Kek. This is the God of Darkness and Chaos who was depicted as either a frog or frog headed human. 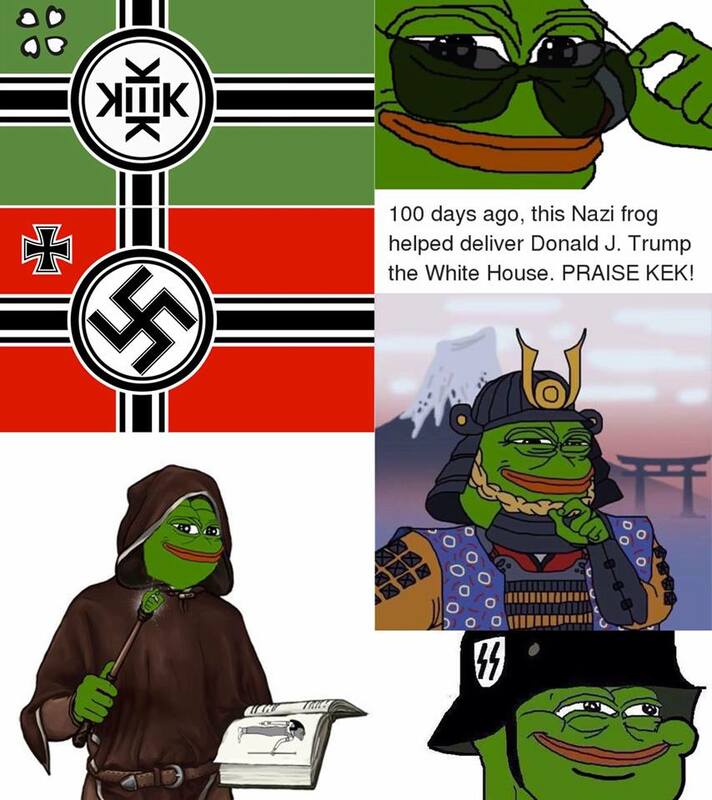 On the 4Chan boards where Kek originated the far right have substituted Pepe the Frog. Apparently they feel that this “deity” uses ancient Egyptian meme magic to influence the whole world. The Kek fanatics also use a version of the Nazi flag to represent the fictional land of Kekistan. 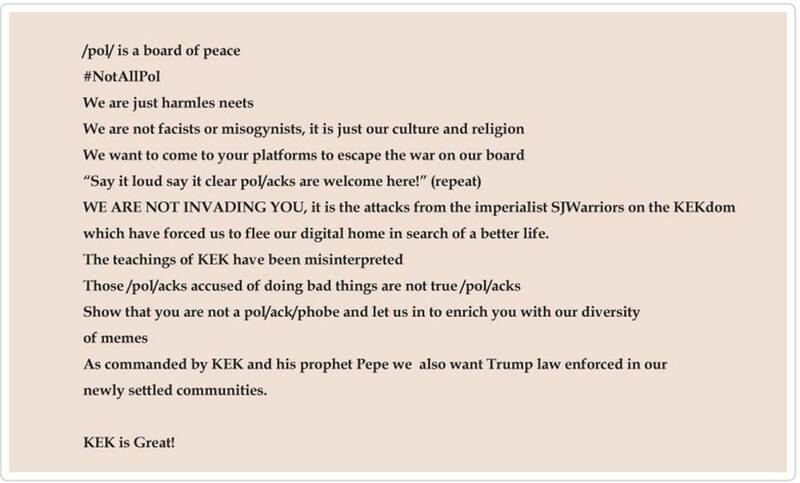 This was invented by the people who use the /pol/ board on 4Chan which was the land of origin for “shitposters” who worship Kek. This whole idea hit the mainstream when a YouTube user promoted it in January 2017. 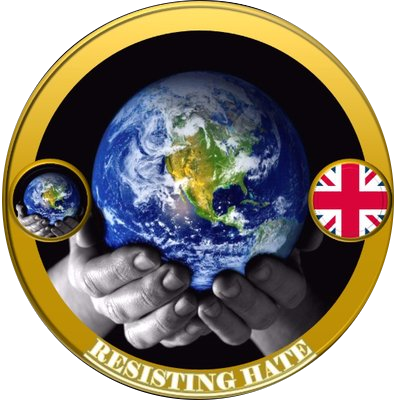 On Twitter an official Republic of Kekistan account was created and within 2 days had amassed over 5000 followers. They also have their own website which included a so called manifesto (which I have posted below). You may note that a number of these hopeless trolls only have the brains to write “Reeeeeeee” as a comment. This is apparently the noise made in rage and frustration by the Angry Pepe character. White nationalists have been using this whole idea to troll on Facebook, Twitter, Gab and other social media platforms. They also combine Pepe the Frog with Donald Trump (doesn’t change him much) who they praise for their success. To be honest, this all just shows how bizarre the “alt-right” (can’t we just call them Nazis?) are. They have to create a fictional universe, with a whole back story just so they can go on social media and troll. They can’t use words, they can’t use facts. All they have are a handful of memes, a weird frog and a green Nazi flag to back their ideas up. In America they have even turned up at protests with flags, chanting that they want to “free Kekistan” and suchlike……..even demonstrating in front of the White House! It is hard to believe that they have any idea of the real world at all. 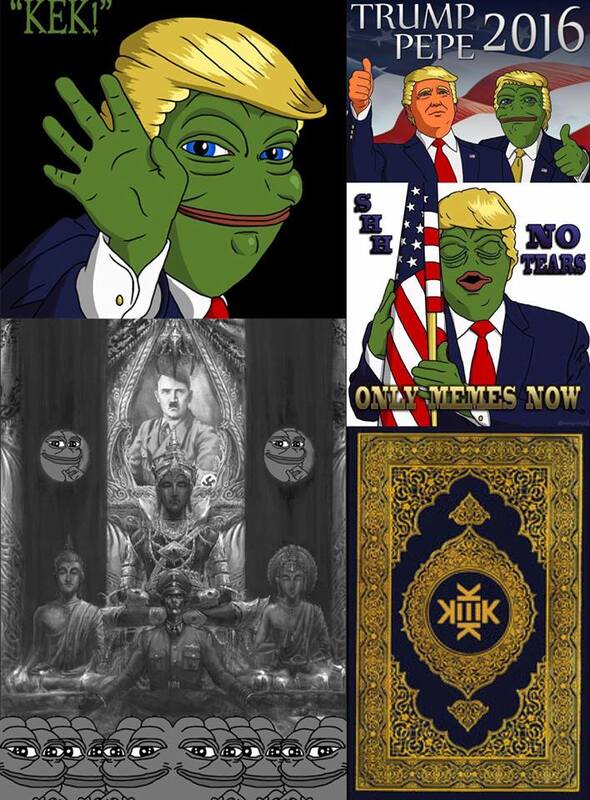 While the Kek brigade are really nothing more than an online joke to be honest, you do have to bear in mind that the people using Pepe and “Kek” are bigoted, racist, Antisemitic, Islamophobic and Xenophobic hatemongers who have about as much to do with the modern world as the true leader that they are missing, the one who shot himself in the bunker in Berlin in 1945. Oy Gott! 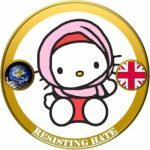 You are amazing, HalalKitty, please, join me in my quest to slander those disgustion neo nazis that live on 4chan! I will personally fund the next 3 years of your Gender Studies Degree! Not bad for a normie! Shadilay!